Preceded in death by her husband, Gary Mensen, Sr.; parents, Robert and Helen Casey; sister, Judy Daringer. Survived by children, Gary (Kaylie) Mensen, Jr. and Amanda (Darren) Hill; 4 grandchildren, Daylen, Marleigh, Bailey and Breckyn; siblings, Robert (Kathy) Casey, Linda Casey and David Casey; her extended family and many good friends. 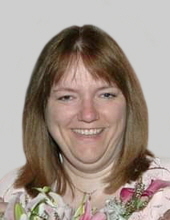 To send flowers or a remembrance gift to the family of Sandra M. (Casey) Mensen, please visit our Tribute Store. "Email Address" would like to share the life celebration of Sandra M. (Casey) Mensen. Click on the "link" to go to share a favorite memory or leave a condolence message for the family.